� Scouting athletic ability with finger ratios! � Usain Bolt: the world's fastest hand! � Pointing a finger at success in athletics! 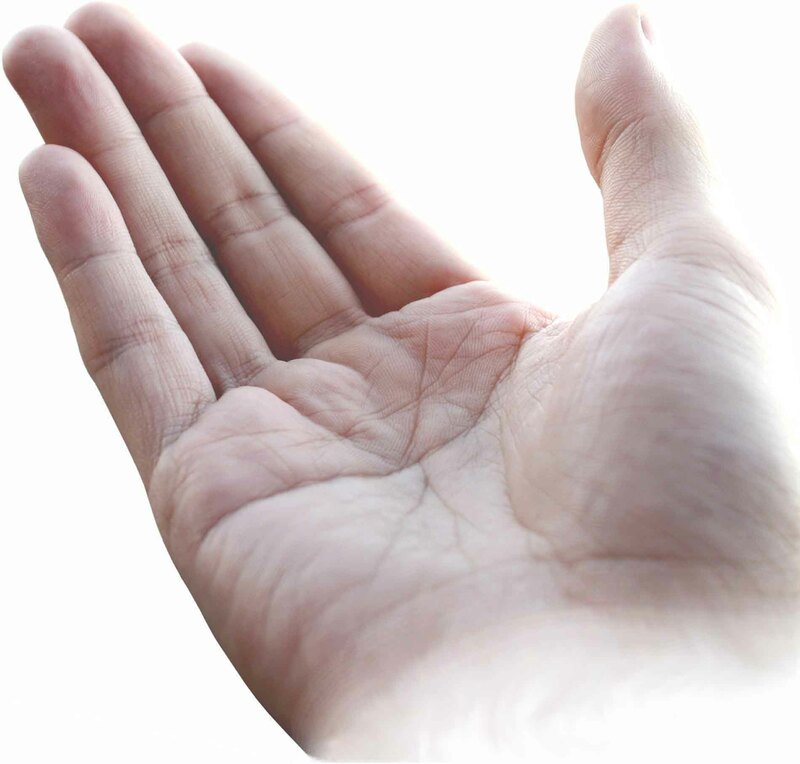 � What our fingers can tell us! � More sports related finger length studies! Video: How to measure your 2D:4D ratio! Video: John Manning predicts 100 m sprint results! 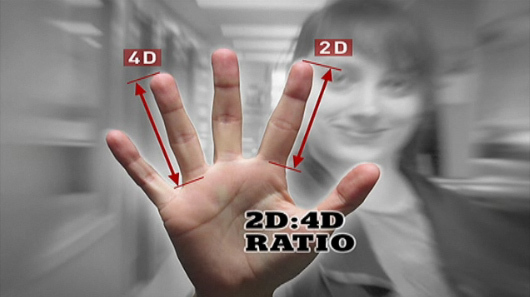 Canadian student study reveals: athletes are more likely to have a smaller 2D:4D finger ratio of their dominant hand! A new study from Saint Mary's University in Halifax suggests when it comes to scouting your athletic ability, you may want to take a closer look at the size of your fingers, CBC's Colleen Jones reports. Student researchers Nick Giffin, Miranda Jones and Rebecca Kennedy found that varsity athletes, when compared to non-athletes, were more likely to have a smaller ratio of index finger length relative to the ring finger of their dominant hand. They also found that male athletes had significantly lower index finger-to-ring finger ratios than female athletes. A smaller digit ratio has been linked to physical fitness and athleticism. The trio of students, along with mentor Prof. Colleen Barber of the university's department of biology, will have their findings published an upcoming issue of the Journal of Sports Sciences. NOTICE: Beyond this study from Canada, previous studies confirmed earlier that scouting athletic ability through 2D:4D finger ratio studies is a fascinating option. Discover the Latest News about Hands!